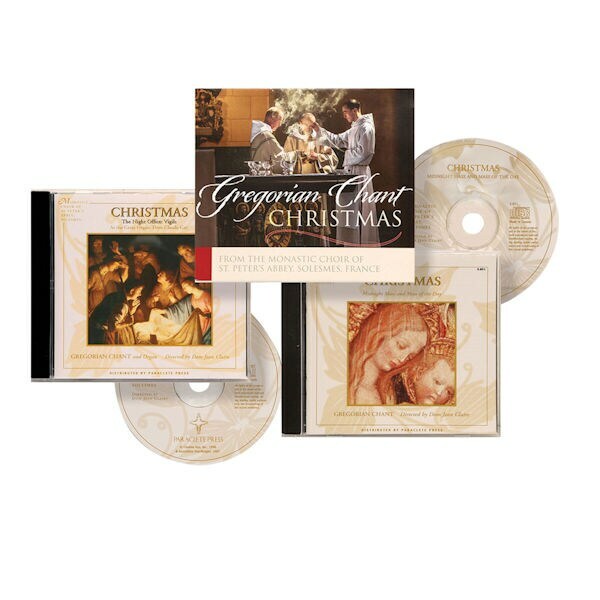 Our Gregorian Chant Christmas CDs celebrate the true meaning of the season. This two-disc set features the monastic choir of St. Peter's Abbey in Solesmes, France, performing Christmas Midnight Mass, Mass of the Day, and the Night Office: Vigils. The performances beautifully capture the miracle and significance of Jesus's birth, and the CDs include liner notes featuring Latin transcripts of the chants, along with with Spanish and English translations. Total running time: 98 minutes.